On Black Friday, when a lot of people were shopping, I drove down to LBI to help a friend whose house suffered damage due to Superstorm Sandy. As I drove East on Route 72, I saw trash trucks going west with the contents of homes on LBI. Flatbeds hauled waterlogged vehicles to their final resting place. As I drove closer to the Causeway Bridge, the euphoria I usually feel was replaced with uncertainty, sadness and loss. The Shack disappeared, and the roadway leading me over the Causeway Bridge was littered with debris deposited by the extreme high tides, which flooded the roadways. I had watched news reports about the island broadcast on TV and the internet, but before I would help my friend, I needed to see first-hand what happened to our island. After turning right on Barnegat Avenue, I headed South toward the homes of people I knew, hoping Sandy’s wrath spared them of damage. When I turned at the Ship Bottom School, I saw huge piles of debris on the curbs in front of houses damaged by Sandy. I stopped and had a brief conversation with a couple who were taking inventory of what used to be the contents of their home. There was a sense of eeriness as I continued south on Central Avenue and eventually turned on Long Beach Boulevard where I saw more items on curbs. My next stop was at the marina where we keep our boat. 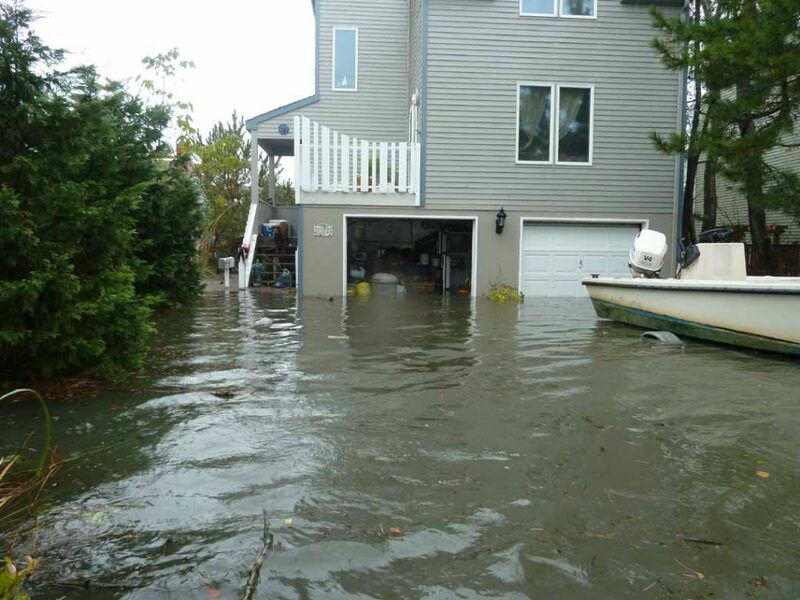 We fortunately had our boat towed inland days before Sandy arrived and were spared the damage that so many of the remaining boats on the island sustained. Holgate was off limits to anyone except contractors and residents. Part of me was relieved since I’m not sure I wanted to see the devastation that Holgate was reported to have had. I’ve strolled many of the beaches, mostly on the south end of the island, and the week before Sandy I decided to walk out to the inlet. The walk was a much longer than I had anticipated. As long as that walk was, I am glad I did it since the southernmost part of island will never be the same. Heading back north, I took the ocean road. Even though sand was still piled up on porches and front yards, I felt something different away from the construction vehicles that had been the primary traffic on the boulevard. People were on bikes or walking. When I stopped to look at the beach and the erosion of the dunes, I witnessed other individuals surveying the island in quiet reflection of the wrath of Sandy to our barrier island. 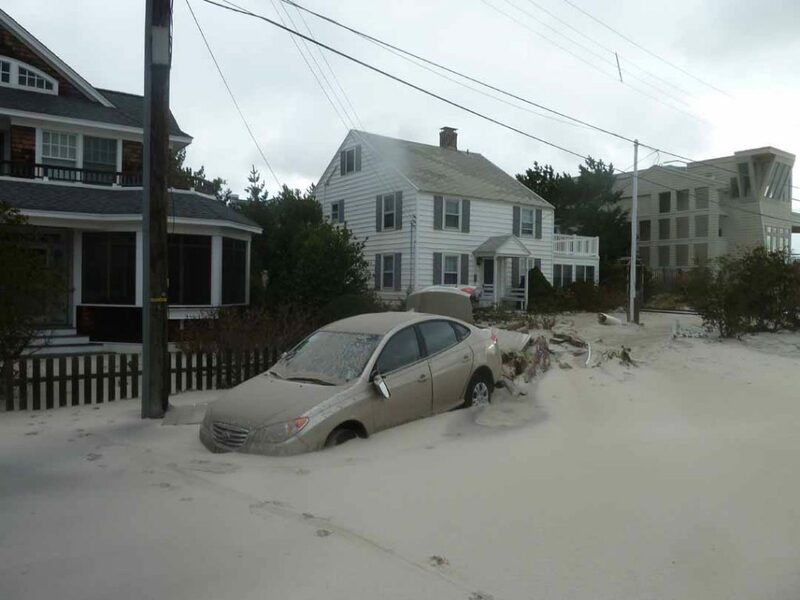 LBI will feel the effects of Sandy for years. On the beach road, it was much easier to see the work completed by residents and contractors, eager to restore a sense of normalcy. As I neared my friends’ house, the feeling of uncertainty left me. In its place rose a sense of hope and community which makes up the true landscape of LBI.